Character Development – What is their birthdate? 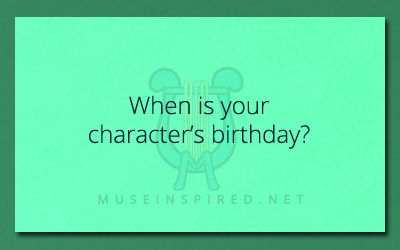 When is your character’s birthday? Not only will you have a date to do something interesting with, you could also research their astrology or star chart for ideas to use for their personality or background history.